No. There are several naturally occurring toxins in plant and animal foodstuffs. Toxins are poisonous substances of natural origin and can be harmful to human beings. But food poisoning, in our mind, is usually associated with microbes or environmental contaminants. A foodstuff is not always safe just because it is natural. Concern about the safety of food has been reported even amongst our early ancestors. Pre-historic men were primitive toxicologists – they only consumed food that was found safe for animals. But they were always subject to food hazards arising from food plant poisons, decomposition or deficiencies in their diet. The active substances in plants can be toxic if unchanged. However, primitive man discovered that some toxins were rendered safe in the preparation process – cooking, soaking etc. Poisonous plant chemicals are called phytotoxins. These include alkaloids, polypeptides, amines, glycosides, oxalates, resins and toxalbumins. The natural contaminants range from toxic alkaloids in the white potato with high carbohydrate content to oxalates in spinach. Some edible mushrooms are also poisonous. Mycotoxins (toxicity due to fungus) on grains and absorptions of trace elements (zinc, selenium, lead, copper, cadmium, etc) are other toxic contaminants of natural origin. Legumes and oil-bearing plants that are highly proteinacious are also highly toxic. Red blood cells clump together when we eat improperly cooked beans and some other leguminous plants. Beans also contain a substance called tyrosine which gets metabolized in normal persons. But in heart patients, who take medicines, the normal metabolism is hindered and eating beans can lead to a hypertensive crisis. Ricin, a toxalbumin, is a component of castor bean that causes burning of the mouth, throat and stomach, convulsions and respiratory distress. Lathyrism – a disease common in India – manifests as muscular weakness and paralysis of the lower limbs. This is due to the intake of the pulse lathyrus (khesari) dal as a major portion of one’s diet. The chemical aminopropionitile is an enzyme inhibitor which weakens blood vessel walls and bones. Erucic acid, a natural lipid found in rapeseed oil and mustard seed oil, is potentially toxic and can cause heart disease. Honey bees visit a number of plants to collect honey. If they visit toxin containing flowers, the toxicity can reach us through the honey indirectly. There has been one such report of honey poisoning in Asia Minor. Intolerance to lactose or milk sugar is common amongst adults in Asia and West Africa. Lactose causes diarrhea and gastric problems. This sugar is a naturally occurring component of milk. In tolerant persons, lactose is broken down to glucose or fructose which is easily absorbed but n intolerant individuals lactose remains in the gut, ferments because of the bacteria in the gut and causes gastric disorders. Rhubarb, tea, cocoa, spinach and beet leaves contain salts of oxalic acid in large quantities (0.02 to 1.3 per cent). It is also present in vegetables like lettuce, turnips, carrots, peas and beans and in certain berries. These salts are mostly found in leaves but in the rhubarb they occur in the stalks and in beets and carrots, in the roots. Oxalic acid formed by the breakdown of the salts in corrosive on the mouth and gastrointestinal tract. It can even cause haemorrhage. Solanine is the glycoalkaloid present in white potato (Solanum tuberosum), brinjal and tomato, and causes gastrointestinal and neurological disorders. The potato has a very high proportion of solanine and eating a fir amount of raw potatoes can lead to death. Linamarin and amygdalin present in Lima beans, peaches and apricot produce hydrogen cyanide enzymatically. This chemical is highly poisonous. Dhurrin, a substance present in sorghum, denatures the proteins. The consumption of huge quantities of peach and apricot kernels also leads to poisoning. Cassava roots or manioc (tapioca) (Mamihot utilissima), the basic food in many African countries, yield 15-400 mg of cyanide per kilogram of fresh food. The enzyme causing the release of cyanide, also contained in tapioca, is inactivated by cooking. Low levels of cyanide residue are observed in the cassava consumed. Gluecoisinolates present in cabbage, oilseed crops, rapeseed and mustard seed are harmful when consumed in large amounts. They are a source of nitriles. Eating fresh raw vegetables like cabbage, cauliflower, turnips, etc increases one’s intake of goitrogens – goiter causing compounds. Soyabeans, groundnuts and walnuts are found to be goitrogenic in babies. These compounds lead to considerable loss of thyroxine and thus cause goitre. Ergotis is the effect of carcinogenic mycotoxins from the fungus ergot (Clavicepts purpurea). It contaminates flour obtained from grains affected by the fungus and the toxin even goes up to the bread stage. The by-products of this fungus have resulted in hallucinations and gangrene formation – ergotism. In fact ergotism affected persons were burnt as witches in medieval times in Europe. Other outbreaks of diseases due to mouldy foods are also well known. Aflatoxin is a mycotoxin from fungus Aspergillus flavus and A parasciticus. It is carcinogenic to animals, causing injury to the liver. Ot of 400 cases of aflatoxin poisioning in India recently, 100 succumbed to hepatic diseases. Maize, a major dietary constituent, was contaminated with aflatoxins. Also groundnuts grown in humid areas can cause aflatoxin poisoning because the fungus infects the plants more easily in such climates. Drinking herbal teas and medicines have reported to be the cause of liver injury in Jamica, Indian and Afghanistan. Pyrrolizidine alkaloids were found in teas that resulted in hepatic disease. Another typical example that is carcinogenic is chewing betel leaves with arecanut or tobacco. Forty per cent of mouth and throat cancer prevalent in India is because of the toxicity caused by the alkaloids arecoline and nicotine present in tobacco, betel and arecanut. Some mushrooms can be poisonous when eater, some are deadly. Gautama Buddha is said to have died of mushroom poisoning. Some mushrooms, though poisonous when fresh, are edible when cooked, dried and salted. Muscarine and amanitine are among the toxic substances present in various mushrooms that affect man. Zootoxins are animal food toxins. Blue fin tuna, mackerel and swordfish, when left at room temperature for long hours, produce a chemical called saurine. This is a histamine releasing substance causing vomiting, nausea, itching, etc. Jellyfish have protenacious toxins that get inactivated on heating and by gastric juices. Biotoxication is mostly caused by fish. The toxins are present in fresh fish and are not destroyed by heat or gastric juices. Several species of sharks can cause severe intoxication. 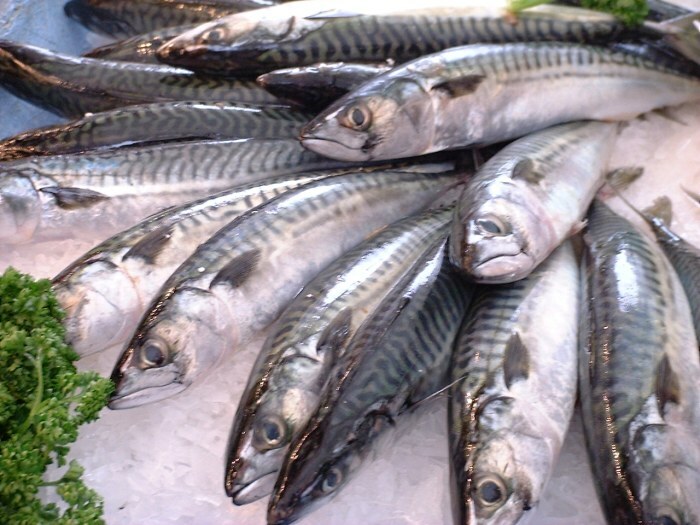 The bones of mackerel contain an oil which is purgative by nature. Another kind of fish, commonly known as gobi fish, causes poisoning because of the presence of a very toxic substance called terodotoxin. Liver poisoning by sharks, tuna and sea bass is due to the presence of high levels of vitamin A concentration in the liver of these fish. Some turtle meat becomes extremely poisonous causing nausea, vertigo, cramps, etc. Its pharmacological and chemical properties are unknown. The sea-anemone has a toxic polysaccharide that is inactivated by heat. A popular oriental food, sea cucumber, is a source of gastro-intestinal disorders which are due to saponins – a group of glycosides made up of sugars. These are also present in a wide variety of plants. The burning and itching sensations caused by eating shell fish are due to the presence of pyrophenophorbide, a toxic substance that is absorbed through the skin. With the growing knowledge of natural toxicants present in plants, and animals, our doubts about so-called “safe” foods also increase. But they need not. The question is not whether toxic substances are present in some foods or not; the answer is always “yes” to begin with. But, as Paracelsus, a Swiss alchemist and physician, puts it, “All things are poison for there is nothing without poisonous qualities. It is only the dose which makes a thing a poison”.